Whey protein comes from milk, has all the essential amino acids and is one of the best proteins in terms of quality. These are some of the benefits: Helps regenerate and increase muscle mass. 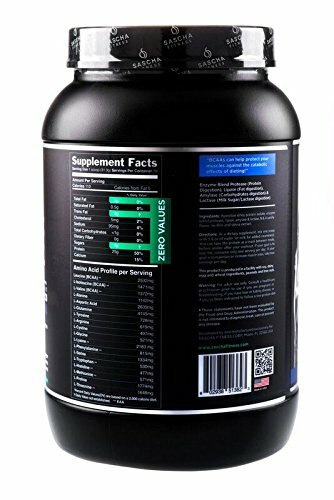 Helps with fat loss while preserving muscle tissue . And also helps to control appetite and improve performance. 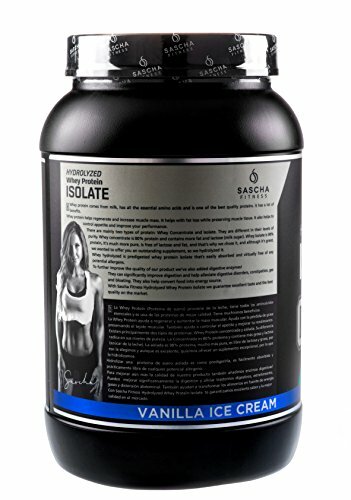 There are mainly two types of protein: Whey Concentrate and Whey Isolate. The main difference is in their levels of purity. 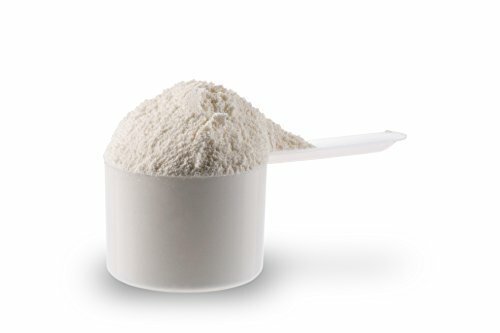 Whey Concentrate: is 80% protein and contains more fat and lactose which is milk sugar. 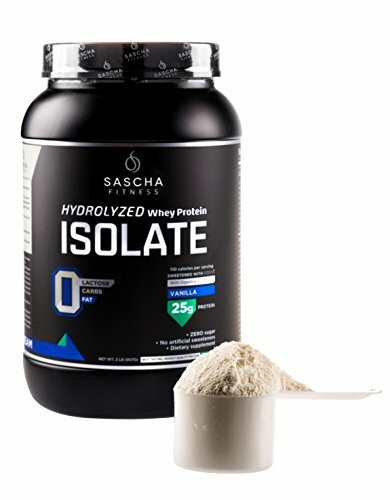 Whey Isolate: is 98% protein, It’s much more pure, is free of lactose and fat. 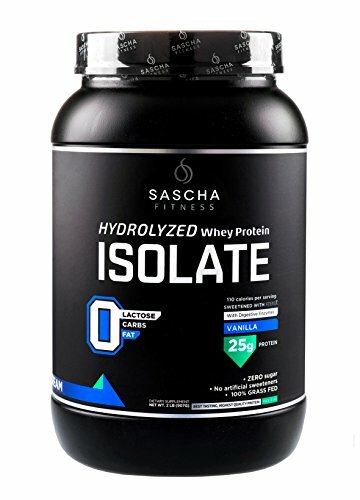 We chose Whey Isolate and we hydrolyzed it to offer you an outstanding supplement. 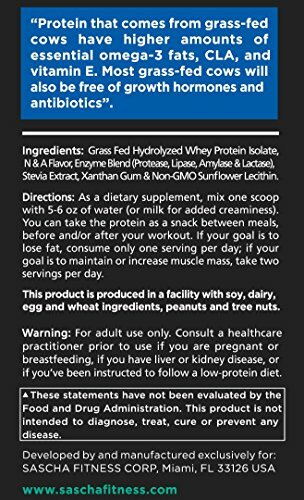 Whey hydrolyzed is predigested whey protein isolate that is easily absorbed by your body and virtually free of any potential allergens. To further improve the quality of our product we have also added digestive enzymes! They can significantly improve digestion and help alleviate digestive disorders, constipation, gas and bloating. Also helps convert food into energy source. 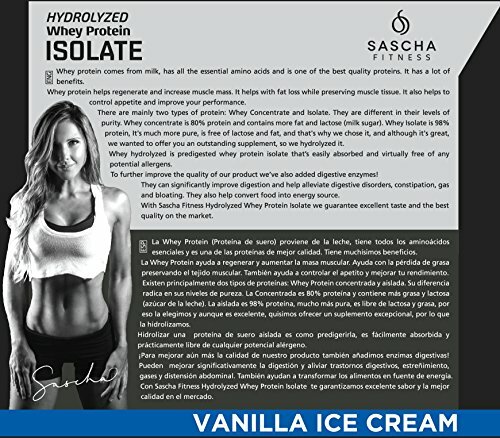 With Sascha Fitness Hydrolyzed Whey Protein Isolate we guarantee a delicious taste and one the best quality in the market. 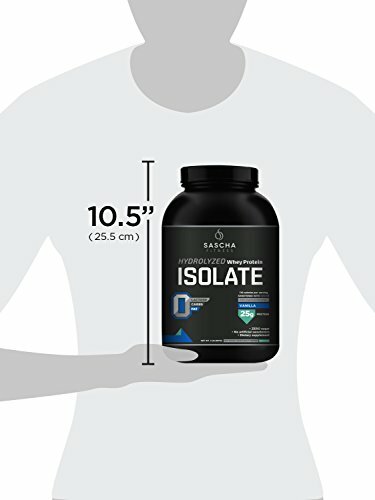 Our products are manufactured by a cGMP( Current Good Manufacturing Practice ) certified facility which is also FDA inspected .BEST QUALITY PROTEIN: 100% Isolate and Hydrolyzed GRASS-FED protein, your muscles absorbs it very fast ,it’s the best kind of protein powder if you want to improve body composition. It has 25g Protein per Serving, ideal for protein synthesis and building muscle. 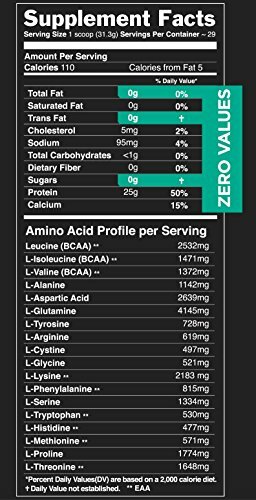 Its High in BCAA’s and EAAS, they help to protect your muscles , increase muscle mass, resistance and help with your overall hormonal environment. And it has digestive enzymes that improves digestion and prevents gas and bloating.